This ACE Store is located inside the FoodMaxx Supermarket at the intersection of Niles St and Fairfax Rd. The grocery store has plenty of free parking. There is a conveniently placed bus stop right outside this location at Niles at FoodMaxx, via Bus lines #45 and #140 of GET bus. Visit GET BUS Transportation’s website for more information about routes and schedules. 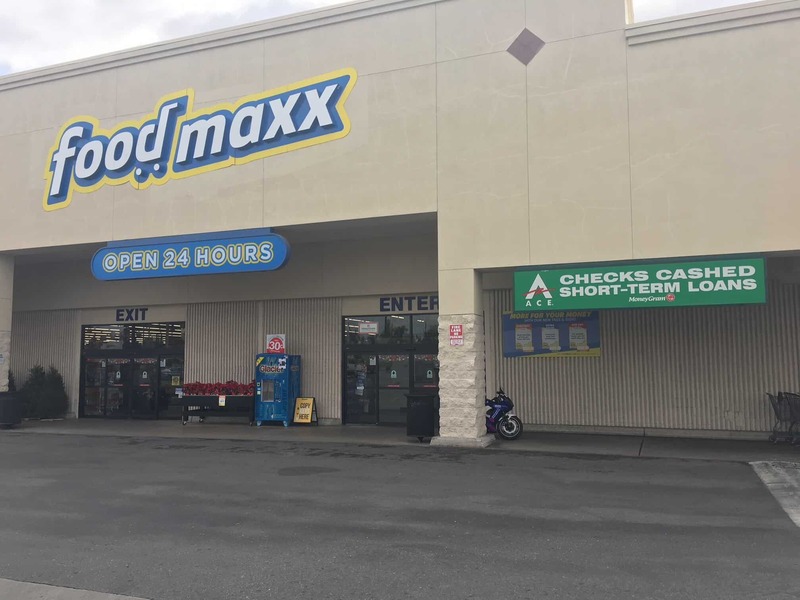 This Bakersfield ACE location neighbors a Dollar Tree, Cataldo’s Pizzeria, Burger King, and Payless Shoe Source. An auto title loans is a type of secured loan that uses the title to a qualifying vehicle to secure funds. The amount of the auto title loan, and whether an inquirer qualifies for one, is based on unique qualifying factors like income, vehicle mileage, and vehicle equity. Many traditional lenders will demand a fee just to see whether one can qualify for a traditional loan. However, applying for an auto title loan powered by LoanMart in Bakersfield is completely free. Plus, there is no obligation to accept the auto title loan. Inquirers may find out if they qualify, and for how much before deciding to proceed. Apply for an Auto Title Loan Powered by LoanMart in Bakersfield Today! What’s the first step toward applying for an auto title loan powered by LoanMart in Bakersfield? Selecting a contact method! Call the toll-free line, fill out the information request form, or visit an ACE Cash Express store to apply in person. Upon approval, a friendly representative will talk to you about picking up your title loan money at ACE Cash Express!